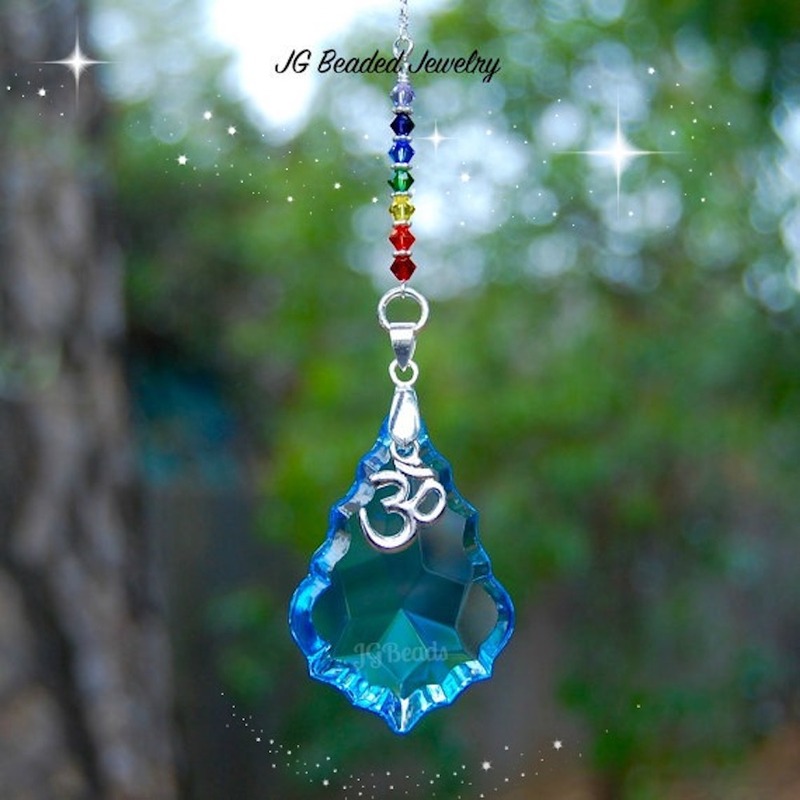 This Om chakra rainbow blue prism crystal suncatcher is uniquely designed and handcrafted with a gorgeous blue teardrop prism crystal and embellished with a high quality silver Om charm. 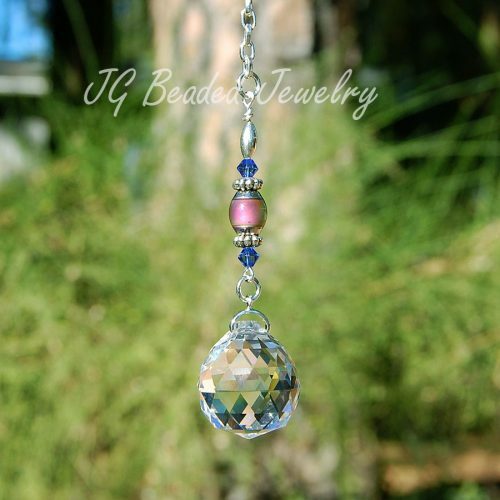 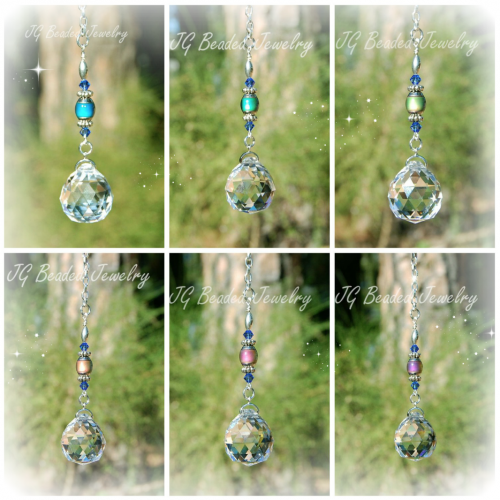 The suncatcher is carefully wire wrapped with attention to detail with flawless and beautiful Austrian Swarovski crystals in the color of the chakra/rainbow along with fancy silver metal beads to accent. 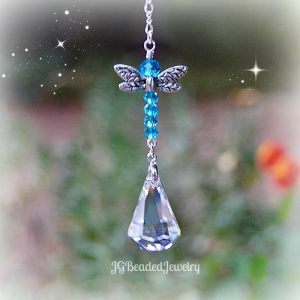 This design is unique, exclusive and very limited! 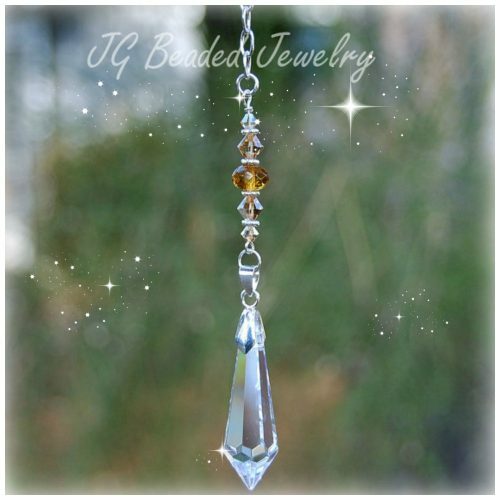 ♥ Quality made for strength with lots of love! 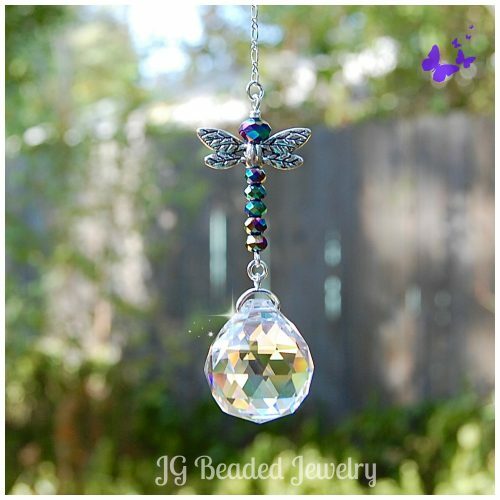 Swarovski is known worldwide for flawless and precision cut crystals!